Mrs Manic: He's our boy! 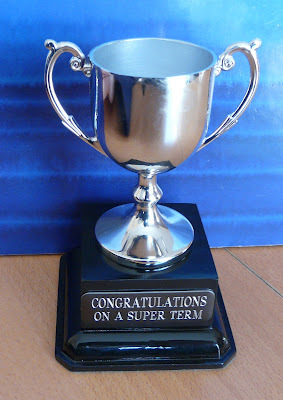 "Blenheim Schools' Most Improved Student of the Year" in his Reception year". Only two children get this award in each year group, so way to go little man!